Go Green and Get Ahead! Impress your clients by showing them you are Going Green. Give your promotions a boost by conveying interest in the environment. At the same time increase awareness. Use your business as an example to encourage other businesses and your clients to make the right eco-friendly decisions. Green Products increase eco awareness, promote your brand, and are useful fun promotional gifts! Earth Friendly giveaways support eco initiatives. They are either made from post-consumer recycled material, biodegradable products, and organic materials. They cater to your brand while decreasing harmful effects on the environment. Many companies are getting ahead by going green. Take the Levi’s as an example. 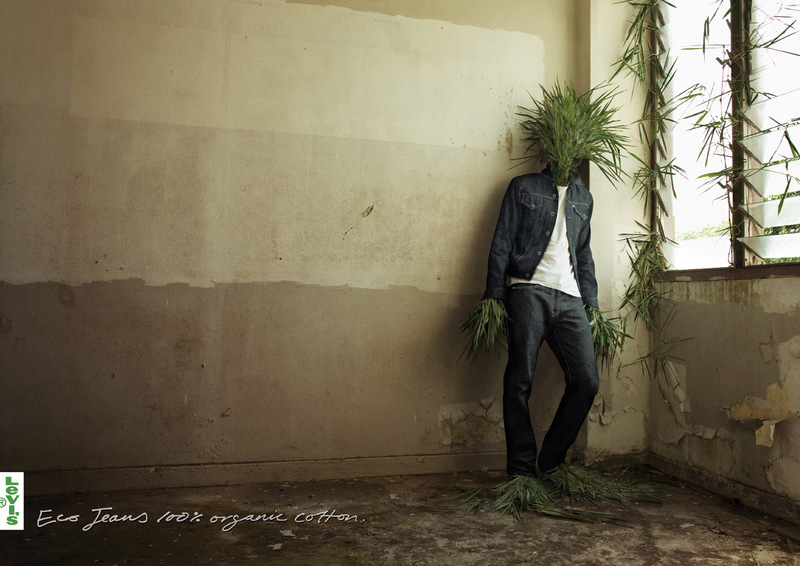 They recognized early on that consumers have been thinking more about their impact on the environment and introduced 100% organic cotton jeans into their line of products. Eco advertising like the ad above is not just a trend. People have become more environmentally conscious. Promotional campaigns should recognize that to be successful and creative. Rudee January 20, 2010 Comments Off on Go Green and Get Ahead!